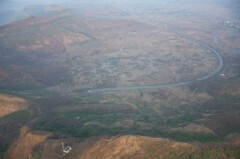 This hot air ballooning ride in Lonavala is a completely new thrill! You'll be surprised at how peaceful and calming it is, with the burners gurgling softly overhead, and birds flying alongside. From the minute you clamber into the spacious basket below, and settle into your own private compartments, you'll feel the excitement mounting. The balloon begins to rise and tug at the basket as it fills, and in no time, the ground drops away from under you. It's the flight of your life! And it happens right here, in Mumbai/Pune's own adventure playground, Lonavala. 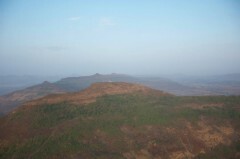 Lonavala is one of the most famous hill stations of India, located in Maharashtra. Dotted with ancient forts, craggy peaks, and green rolling hills, this is a popular hub for holidaymakers and adventure-seekers from surrounding cities. Your balloon ride in Lonavala will take you on an unforgettable flight, timed perfectly to give you views of the sun rising. From the balloon, you'll be able to see the lush fields below, as well as mist-covered lakes, waterfalls tumbling down the sides of tall cliffs, and the undulating valleys of the Sahyadris. 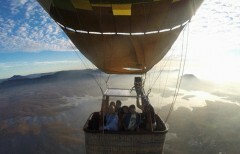 • Enjoy a hot air ballooning flight in Lonavala. • Get spectacular views of the rolling hills and rivers below. 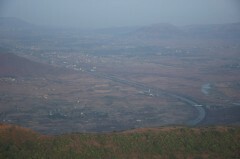 Travellers are required to follow instructions of the tour guide while hot air ballooning in Lonavala. 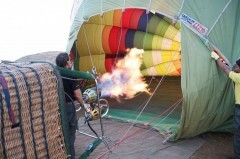 For cancellations made 15 days or more before the departure of hot air ballooning in Lonavala: 100% refund. For cancellations made 3-14 days before the departure of hot air ballooning in Lonavala: 75% refund. For cancellations made less than 3 days before departure of hot air ballooning in Lonavala: no refund. Bookings for children under the age of 5 are not charged. Bookings for children aged 5-12 years is charged at a discounted price of INR 5,900 per child. Bookings for children older than 12 years is charged at full price. Children under the age of 16 need to be accompanied by adults. The tour operator reserves the right to cancel or alter the itinerary of the hot air ballooning in Lonavala to ensure maximum safety for travellers as well as staff. 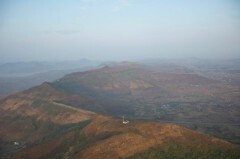 Go hot air ballooning in Lonavala! Report at Hotel Orritel in Lonavala by early morning. You'll be transported to the take-off point for your hot air ballooning trip in Lonavala. Hot tea is served, while you watch the balloon being set up and inflated. After a short briefing and explanation of the safety rules by the instructor, you'll board the basket and set off! The balloon tugs at the basket, and lifts it into the sky. 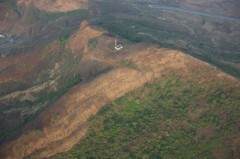 You'll enjoy 45-60 minutes of hot air ballooning in Lonavala, and then will begin the landing process. Once you touchdown, the pick-up vehicle will drop you back to the hotel. Your trip ends here. Hotel Orritel is located on the old Mumbai-Pune highway, at the MIDC Junction, in Pune, Vadgaon, Maharashtra. 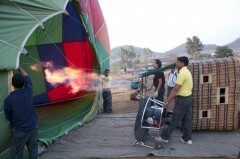 The operator will arrange your transport to the start point of the hot air ballooning in Lonavala.